Every year I read through the Holy Bible. Although I use the New King James Text on occasion, my first choice is — and always has been — the King James Text. Some years I get ahead, like this year. I finished in October and began again… Last week I finished up II Kings, where I stopped temporarily and turned to the book of Luke to celebrate Jesus’ birth. I usually read the book of Luke and part of the book of John during December… The first of January I’ll go back to the Old Testament and return to where I stopped. Of course, it’s fine if you take longer than a year; the Bible has many difficult passages. The names are hard to pronounce and the history is at times heartbreaking. But the effort to read from beginning to end is worth everything. The point is to read the Bible… the more I read, the more I understand – most of the time. However, there is much that I may never understand fully, but I keep reading! God bless you… on Christmas Day… and always. Today I am reviewing A Fragile Hope by Cynthia Ruchti. A Fragile Hope will tug at your emotions from the beginning . . . to the end. Cynthia Ruchti writes of love and forgiveness, hope and despair. Josiah Chamberlain is a character I didn’t expect to like–but I did. And I think you will, too. Don’t miss the chance to read this amazing story. . .
I’m definitely looking forward to reading more by this author! Today is the day we celebrate the birth of Jesus. Each year I read through the Holy Bible. Although I use the New King James Text on occasion, my choice is — and always has been — the King James Text. Some years I get behind and don’t get finished on time, but it’s no shame to take longer than a year. The effort to read from beginning to end is worth everything. The point is to read the Bible… and the more I read, the more I understand – most of the time. There is much that I may never understand fully, but I keep reading! God bless you, today on Christmas Day, and always. 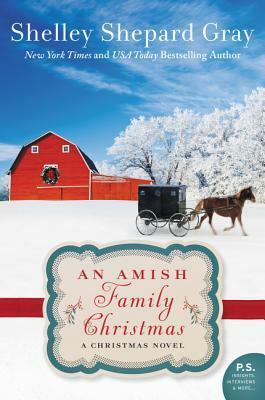 Today I am posting my review of An Amish Family Christmas by Shelley Shepard Gray. An unlikely Amish romance reveals that Christmas is a time for family, miracles—and love. But when Julia, his young widowed neighbor, asks for his help with a Christmas project, Levi finds a sense of purpose for the first time in months. She and her daughter are new to Charm and could use a friend, a job Levi takes personally. Like Levi, Julia Kemps has survived her fair share of hardships—but only by hiding the truth of her past. Being an unmarried mother in an Amish community was unthinkable. Feeling hopeless, Julia did the only thing she could do: she moved to a new town and pretended to be a widow. But meeting Levi, she’s hopeful for the first time. Little by little, she begins to imagine telling him her darkest secret, and eventually…perhaps even sharing her life with him. I have been a faithful reader of all books from Shelley Shepard Gray for many years . . . and The Charmed Amish Life series doesn’t disappoint in the least. 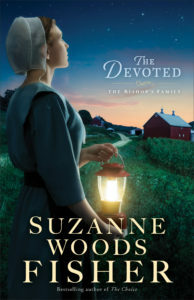 It’s a wonderful series, and, although I’m supposed to be reviewing An Amish Family Christmas, I can’t help but include the other books in the series! This story is about Luke, the brother who left home after the fire. Now he’s back — and when he helps out his young, widowed neighbor, just maybe he’ll have a reason to stay! Great characters! Great stories! This is an amazing series that I encourage you to read. I just know you’ll enjoy them as much as I have. Don’t miss books three (A Sister’s Wish) and four (An Amish Family Christmas) in Shelley Shepard Gray’s Charmed Amish Life series. In A Sister’s Wish, when Amelia gets hurt, it sets off a chain of events that forces Amelia and Simon to consider their future together—and face their past mistakes. There’s a chance for love . . . but only if Simon dares to trust Amelia with the secrets of his past. In An Amish Family Christmas, Christmas is a time for family, and as the holiday draws closer, Julia and Levi will have to face their pasts together . . . in order to find the healing, support and love they so desperately desire. Today I am reviewing An Amish Family Christmas, the fourth book in the The Charmed Amish Life series by Shelley Shepard Gray. 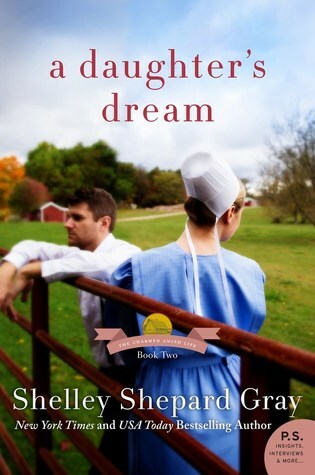 Today I am reviewing A Daughter’s Dream, the second book in the Charmed Amish Life series by Shelley Shepard Gray. 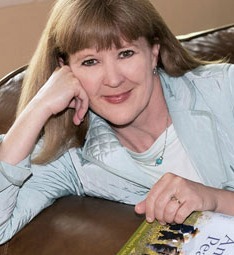 Shelley Shepard Gray has been a favorite author of mine since I began reading her Amish fiction novels! And I’ve just added this story to my collection. Well, I can’t really tell you what (or who) she discovers. You’ll just have to read it for yourself. I will share that there’s lots more to the story than just teaching. Matter of fact, there’s lots more to the story than just Rebecca! It’s the perfect sequel to A Son’s Vow. 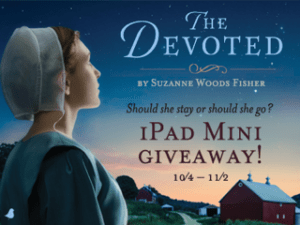 Don’t miss this exciting sequel in the Charmed Amish Life series! You’ll be glad you did.